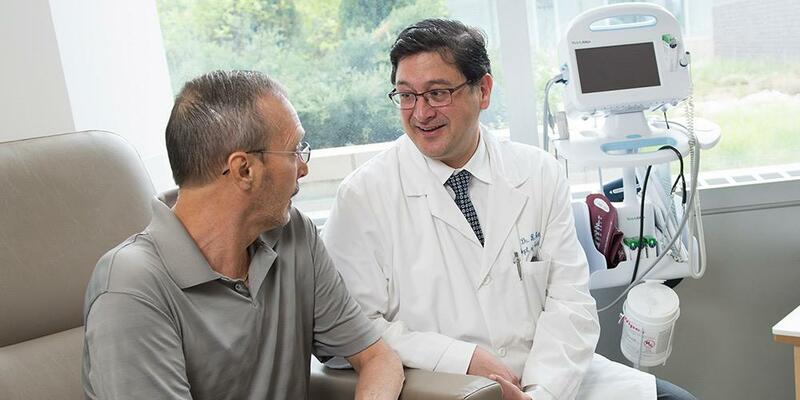 Patients who need liver, gallbladder, or pancreatic cancer treatment receive prompt, fully coordinated treatment and the most advanced options available from our multi-disciplinary team. Patients with hepatobiliary tumors include patients with primary hepatocellular carcinoma, metastatic cancer to the liver, pancreatic cancer and biliary or gall bladder cancer. The Liver, Gallbladder, Pancreas Center was established in June 1994 and provides for the comprehensive and efficient evaluation of patients with both malignant and nonmalignant diseases involving these organs for surgical oncologic treatment. Most patients can be seen within a week of referral, and will be guided by a program-specific nurse navigator. The navigator can coordinate all appointments, including those with interventional radiologist, medical and radiation oncologist, gastroenterologist or other specialists, in addition to the surgeons. Last Modified: October 11, 2018. Contact Casaundra Hildreth with questions about the content of this page.